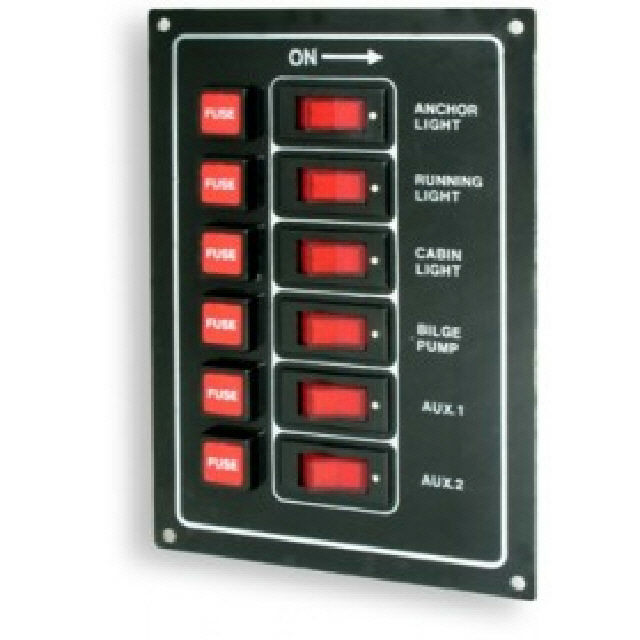 Six gang vertical switch panel. Black finished aluminium panel with white graphics. Pre-wired with common supply to fuses and switch illumination. Red illuminated rocker switches.